Shopping for a new Jaguar in Edgewater but trying to decide on the color? Make your Jaguar black at Jaguar Annapolis near Crofton for an imposing and high-end look. Browse our inventory below to find Jaguar F-TYPE black options, Jaguar F-PACE black options, or any others you might be looking for. Your car color might say something about you or your general personal taste, and at Jaguar Annapolis you’ll have a variety of Jagua colors to choose from for your new Jaguar near Severna Park. What does having a black Jaguar say? It is one of the most popular colors for luxury cars, evoking images of black limousines, royalty, VIP rides, and diplomat vehicles. 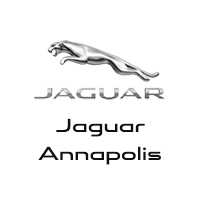 If you want to enhance your Jaguar colors even more, opt for genuine Jaguar accessories at Jaguar Annapolis. Find out what accessories are available on models like the Jaguar XE today!